hello out there. hope youre doing good. 1. In case there is any content on existing site, that you don't want to loose, create a backup of it. With this plugin you can delete all content and settings in WordPress, same as freshly installed. It only keeps Admin user and password. 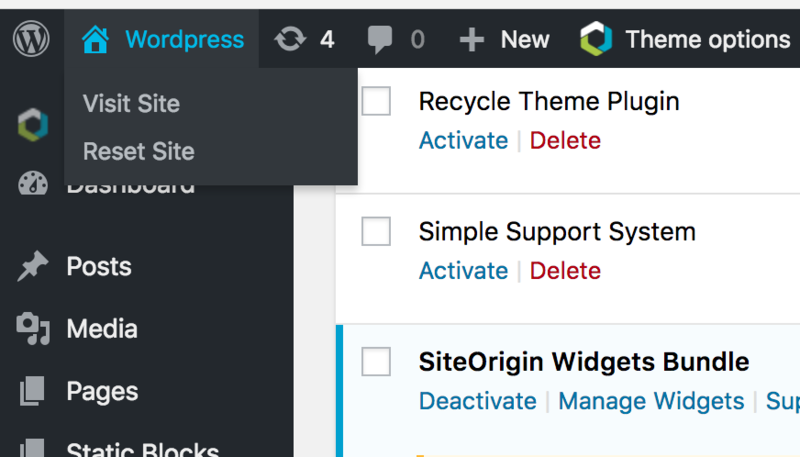 - SiteOrigin Widgets Bundle - Needed for our custom widgets to work. Delete all the other ones, you don't need. 5. Go to Theme Options -> Demo content and import the demo content. Now everything should be exactly like the demo, except the stock images, which we are not allowed to include. Here is a sample of demo import, for comparison: http://downloads.orionthemes.com/demo-content/dentalia-1-5/demo-1/ . If after reseting your site, your WordPress installation doesn't match the one on this link, please leave in a private reply your admin username and password so we can check and assist you further.